After Scream 4 took in $97 million, more than double its budget, it is hardly a surprise that director Wes Craven is saying that Scream 5 is a go. Toss in the fact that Craven is signed for a fifth and sixth film, and the chances for a fifth Scream seem all but certain. Craven was talking with MovieWeb and when the topic of a fifth installment of his wickedly successful movie series came up, he was quite optimistic. 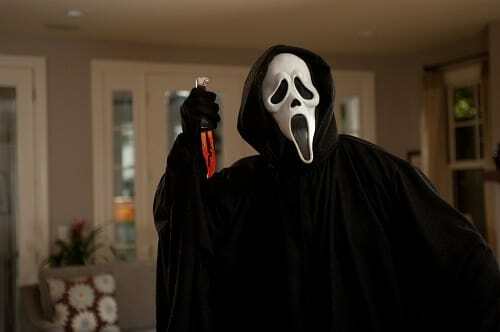 “The odds are that there will be a Scream 5. It is something that Bob Weinstein wants to do. He tends to do what he wants to do. So I am inclined to think that there will be another sequel,” Craven said. Writer Kevin Williamson was the brains behind the story with the entire series, and although he has commitments with TV’s Vampire Diaries and The Secret Circle, Craven is hoping Williamson will pen the fifth and sixth Scream film. “Kevin Williamson has been the writer since day one,” Craven said.